I recently purchased the ABH brow stencils, and I am loving how easy they are to use! I finally have great looking brows that are similar in shape! I found that using a powder pigment works best for me. I have recommended the stencils to all my female friends! Shani Brown has rated on date 02/27/19 as Loving the brow stencils!I recently purchased the ABH brow stencils, and I am loving how easy they are to use! I finally have great looking brows that are similar in shape! I found that using a powder pigment works best for me. I have recommended the stencils to all my female friends! with 4.5star. The brow shapes are excellent, and the stencil material is a hardy plastic. My only problem is with the brow lengths: my eyebrows are shorter at both ends. Use of the stencils, with the brow color set, have finally made my over-plucked brows look more natural again. Sue Ann has rated on date 09/16/18 as Eyebrow StencilsThe brow shapes are excellent, and the stencil material is a hardy plastic. My only problem is with the brow lengths: my eyebrows are shorter at both ends. Use of the stencils, with the brow color set, have finally made my over-plucked brows look more natural again. with 4.5star. Nadia has rated on date 09/14/18 as ExcellentI love the stencils, I have now beautiful even brows with 4.5star. Love, love the stencils. They have helped in building up my speed. Trina Morales has rated on date 08/16/18 as StencilsLove, love the stencils. They have helped in building up my speed. with 4.5star. I LOVE THIS PRODUCT. BEFORE I GOT IT I WAS UNABLE TO GET EVEN BROWS ON BOTH SIDES. NOW, NO PROBLEM. undefined has rated on date 08/06/18 as stencilsI LOVE THIS PRODUCT. BEFORE I GOT IT I WAS UNABLE TO GET EVEN BROWS ON BOTH SIDES. NOW, NO PROBLEM. with 4.5star. It's like having Anastasia herself shape your brows every day! 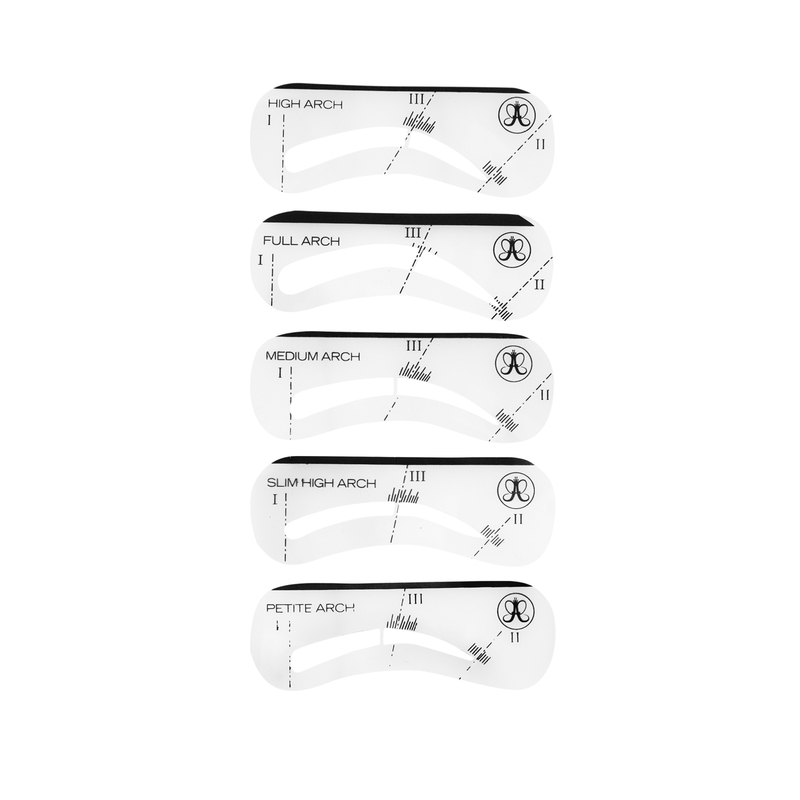 Based on Anastasia's patented Golden Ratio® Eyebrow Shaping Method, Anastasia Beverly Hills Stencils is a set of 5 patented brow stencils. 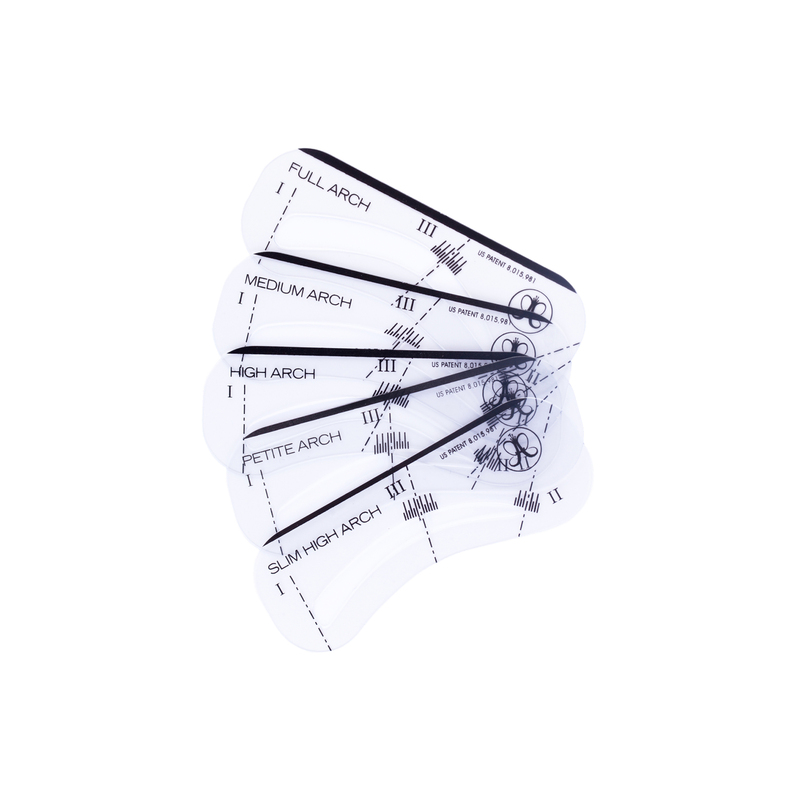 Each stencil shape is designed for achieving perfectly balanced, symmetrical brows. 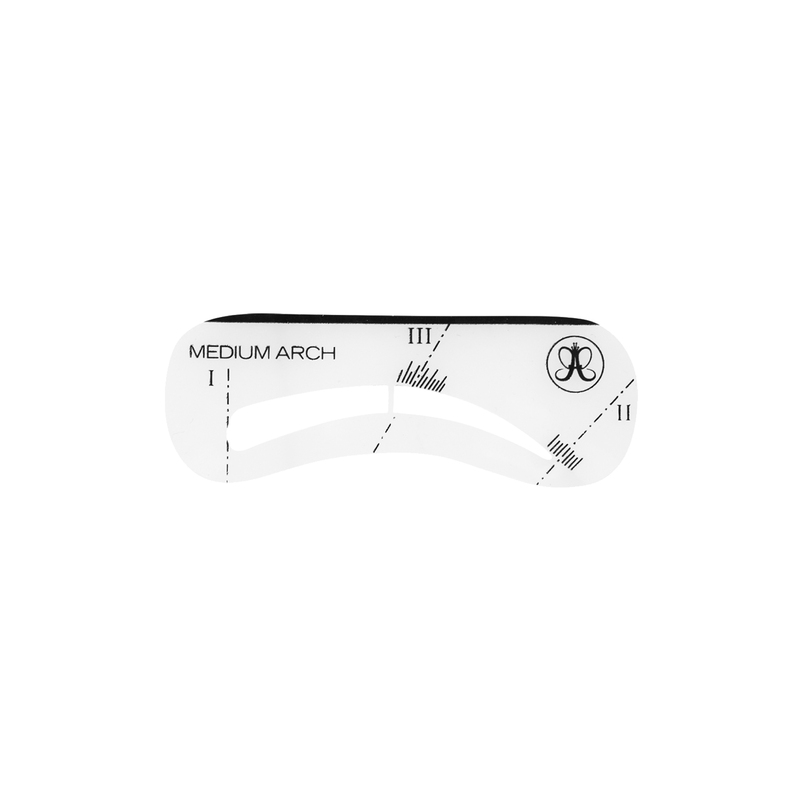 Using the Golden Ratio® method, mark the three points on the brow: the front of the brow, the end of the tail, and the highest point of the arch. Use these three points as a guide for choosing the right Stencil shape for your brow’s natural features. Apply Brow Primer to the brow. Then, line up the Stencil with the three points, making sure the black bar is parallel to the ground. Using Brush 7B, sweep Brow Powder Duo inside the tail end of the Stencil and work the product through the arch toward the beginning of the brow. Once filled, remove the Stencil and fill in the brow where the stabilizer was placed. Using the spoolie end, blend the product throughout the brow to create a seamless finish.